Today I am visiting with Chris Graham, The Story Reading Ape, talking about formatting books for print using Microsoft Word. For those who aren’t as familiar with Chris, I encourage you to check out his site – not just because he was kind enough to turn it over to me for a bit but because it is full of great information about the indie publishing industry as a whole, author highlights, as well as jokes anyone in any profession could enjoy. I know that not everyone who reads my blog is an author, aspiring author, or uses Microsoft Word, but I hope that you might still be able to find a time-saving tip or two you can use in the future. From the backseat, Kiddo asked, “how many more minutes?” We’d been on the road for the last three hours, so the bigger surprise was the fact that he hadn’t already asked the same question a million times already. “We still have a ways to go,” I answered, not exactly excited to reveal that we still had another two hours of windshield time ahead of us. The in-car entertainment system had only been powered off for a second or so, but the boys were clearly missing the distraction. “Eh, a couple of minutes honey. Maybe three. However long it takes for Dad to fill the car up with gas. “How many seconds is three minutes?” Kiddo asked. Kiddo paused to take in this information. “Ten, twenty, thirty” I heard him begin. The boy is feeling clever this morning. Sigh. I was going to have to explain to him that time wasn’t moving any faster for the rest of us just because he had figured out a faster way to count to one eighty. Welcome to Relativity 101 Kiddo. Just then the pump clicked, signaling our tank was full. Before long, we were back on the highway with the sounds of Mickey Mouse’s Clubhouse playing over the speaker system. Now I am thinking I am the one in need of a lesson in the manipulation of space-time, because it feels very much like I’ve been here before. And yet, I feel as if I have gone so very far. My thanks to everyone who helped make last week’s launch so very special either by checking out my book links, sharing my posts, or simply offering your words of encouragement. I am hopeful that the experience I’ve gained will help me complete my next project that much faster, but I also know not to expect the process to be any easier. I very much appreciate your support. Well fudge ripple ice cream, my first book has sold more copies than I anticipated. Before you start sending me congratulations, I should add that I can’t claim credit for all of those sales. I was googling myself, as I randomly do whenever I want to ruin a perfectly good day. My ratings on Amazon, B&N, GoodReads, and various blog posts were all in the top results (exactly what I want), but then I saw something a little lower in the ranking that gave me a pause. An interested reader was trying to find my book (not just any book) in their library and was complaining that their library charged a monthly subscription fee for books. Oh dear! A frustrated reader (exactly what I do not want). 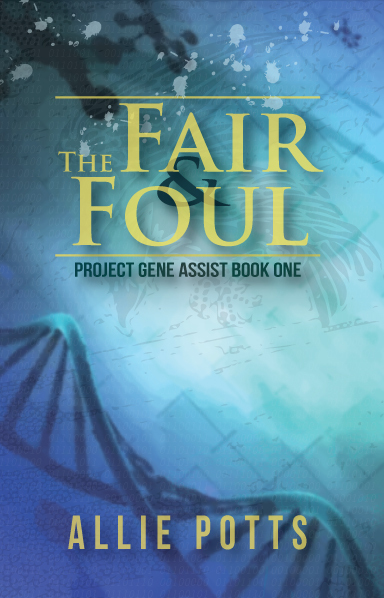 I obviously haven’t done a good enough job advertising where you can currently find a copy in ebook format. Now you might think I would be excited that someone else is helping me to sell my book, but here’s the thing – unless the other three books were fifty cents or less, it would have been hard to purchase my book as well as three others for that price. Not to say that isn’t out of the realm of possibilities, it’s just highly unlikely. I looked at the link again. It seemed I had seen the name before, but where? Then it hit me. Several of the blogs I follow had recently posted a story about a site hosting pirated books being taken down on Facebook. It had the same name. I had been victimized and didn’t even know it (sometimes ignorance is bliss). I went to my browser history and scanned the places I had visited. What had been listed as booklibrary was now showing as http://www.allpdfs.pw, a site, by the way, that will now send you a guide on chicken breeds if you click the download button (buyer beware) rather than sending a copy of my book. Contact me. My details are all there on my About page. Let me know your situation and how you can help me with some grass-roots marketing. Create a pitch video I can use in an IndieGoGo or Kickstarter campaign. Go to your local library and ask them to stock my book (I’ve reached out to Overdrive, they just have to pay for a license). Suggest it for your book club. If you can find a way to help me, I’ll find a way to help you back. Together I am sure we can work out how to get you that free copy without going through the hassle of using sites more interested in stealing your identity than honoring copyright. Once again, my thanks to Chris the Story Telling Ape’s blog for not only alerting me to several potential pirated sites as well as providing very detailed instructions as to how you can fight back. I may have joked around a little in this post, but that doesn’t mean I take this event or other threats to my business any less seriously. Nor should you. On my way to work the other morning, I was stuck at a traffic light when I noticed a hand-made sign on the other side of the street. There are tons of these signs. Usually they advertise things like “Mattress Set – New! $550!” or “We buy ugly houses!” But the sign that morning was different. I would have taken a picture of it if I had been more awake that morning, but the light changed before I could fully process what it was I was seeing. 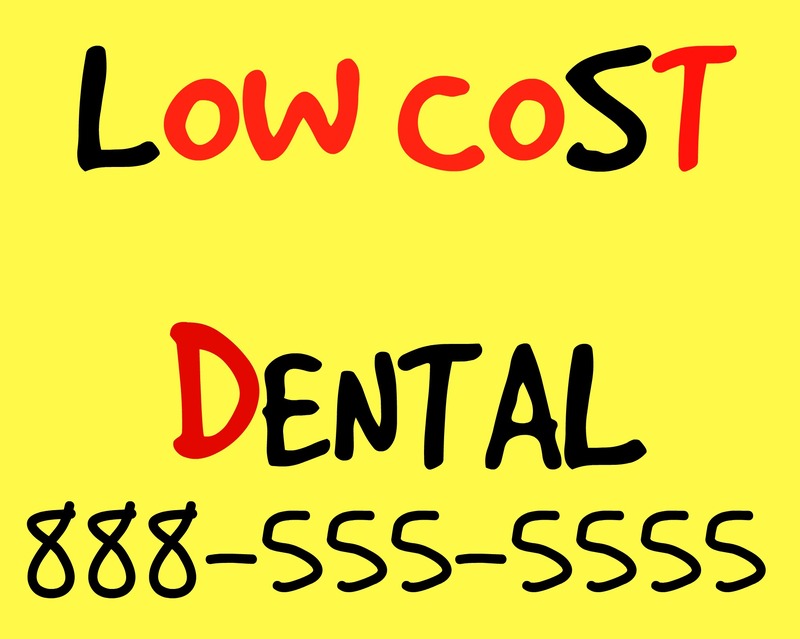 It was brightly colored paper with mismatched stick on letters and a hand written phone number advertising low-cost dental services. To be fair, I don’t know anything at all about this company. The practice could have the best dentist in all of the US. He or she might be able to create filings that are the equivalent of the Mona Lisa in the world of dental arts. They may have intentionally decided to not to create a shinier ad as way of keeping their overhead costs low in order to offer patients the greatest possible savings. Unfortunately for their practice, I, as well as several others who pass by that stop, likely will not be making an appointment any time soon. Why? Because a sign like that doesn’t exactly inspire confidence. I’d rather save money by skipping a dental appointment altogether than have my teeth treated by anyone other than a professional. As I’ve written before, the independent bookstore which has agreed to stock my book has a strict policy against carrying books produced by an Amazon company (i.e. CreateSpace). When I decided to change publishing companies I had to take their policy into consideration. I decided to try out Lulu which is a local, and highly rated, company for my on demand printing. For the most part their service is fairly straight forward. All you have to do is upload your manuscript and cover image, specify a few keywords and your price and Presto! You too can be a published author for the price of a proof copy and shipping. Only it isn’t quite that simple. Some sort of black magic goes on behind the scenes as their servers manipulate your Word file into a file their printers can use (CreateSpace has a similar process. Smashword’s ‘Meatgrinder’ provides even more joy). You watch the status bar patiently… then not so patiently… Your family shouts from the other room, “are you coming to dinner?” You shout back, “Just a minute.” Ten more pass. You give up because your stomach is now growling and return later only to discover that your right page footer has been indented while your left page footer has not. You curse, make corrections, and hit the submit button again. The print ready interior that eventually spits out on the screen at you now has a random blank page between chapter 6 and 7. Fifteen tries later, your interior is almost to your satisfaction, except there is an extra period on page 50 and, oh for the love of Pete, is that typo on page 217? Your children have celebrated another round of birthdays while you’ve been at your computer. You start telling yourself, it’s good enough. Your cover at least was done by a professional. No one is going to notice anything wrong with the interior. Except that they do. The little things matter, especially when you are trying to grow a business. My older sister visited not too long ago, and I showed her a rejected proof copy. I had rejected the copy because the cover wasn’t trimmed correctly, but that wasn’t what she noticed. Instead the first words out of her mouth were, “what’s up with the font?” I love that my family doesn’t hold back the truth when it matters. I don’t want potential customers eyeballing my book on shelf to think of me (and my work) as anything less than professional. She forced me to return to my manuscript and start another round of submission roulette. Yay! I can only hope the hard work is just as eye-catching as its opposite.